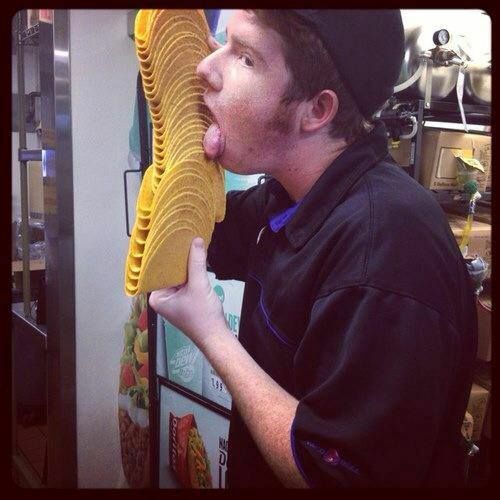 An image of an alleged Taco Bell employee licking taco shells has been making the rounds across social media sites, causing a media nightmare for the fast food giant. Apple has been taking a lot of heat in the press lately for admitting they use tax loopholes to avoid paying more taxes. They’re not the only one, though. Check out 18 of America’s biggest companies who avoid paying taxes. If work-life balance is important to you, then you need to see this list of 25 companies that want you to be happy at work and in life. Zynga has had major success creating games such as “Farmville,” but the tech company is set to lay off 18% of its workforce. Quality is often more important than quantity. Unfortunately, these rich companies are creating more jobs by creating worse jobs. We want to hear from you! Will you still eat at Taco Bell? Share your thoughts on Twitter or in the comments!